Ready to shorten your to-do list by automating household tasks? Everyone wants more time in their days. 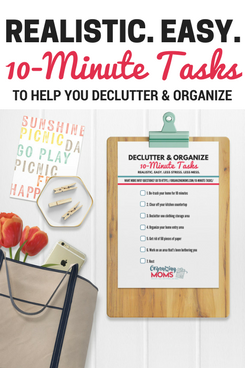 We live in a fast-paced world, and as parents, our to-do lists are never ending. 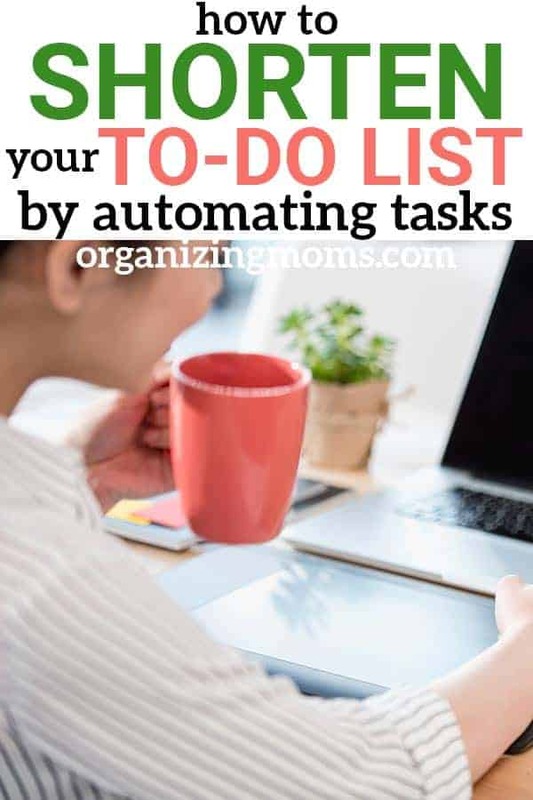 Fortunately, there are several things you can do to automate your home management tasks. By “outsourcing” some of your most time-consuming chores, you can gain back hours each week. That will give you time to rest, work on a passion project, or spend more time with friends and family. Buying diapers – This isn’t a big time waster, until you accidently run out. Or, you realize that you need the next biggest size NOW. You can have your diapers automatically shipped to you each month by using Get Dyper. For most families, this actually saves money over shopping in the stores! Go here to see how it works (there’s a video here that’s really helpful). Grocery shopping – If you have grocery pickup near you, USE IT! It’s such a timesaver. I like Wal-Mart grocery pickup because it’s free! Go here learn more about it and get $10 off your first order. Would you rather have your groceries delivered? Amazon Fresh can bring your groceries to your home – go here to learn about their free trial. Shopping for household staples. I love going to Costco to stock up on basics, but it really takes a lot of time. And when I’m going with kids in tow, it’s not always a pleasant experience. For things like toilet paper, paper towels, shampoo, razors, and other things we know we’re going to buy again and again, I like to set up a recurring order that’s shipped to our house. You can do this via Amazon Prime Pantry, Target, and even some office supply stores. If you find yourself buying the same things over and over, this could save you several trips to the store. And, often you get a discount for setting up a subscription! Buying replacement air filters. We NEVER remembered to do this until we signed up for a subscription service that delivers our air filters to our house right as they need to be replaced. Seeing the filter package on our doorstep serves as a friendly reminder that we need to swap out our old filter. And, it saves us a trip to the hardware store. 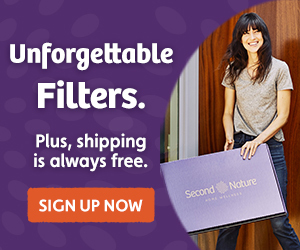 Go here to get a free trial to FilterEasy and try it out! Picking up prescriptions – Many insurance companies offer a prescription delivery program for medications you take regularly. Check with your doctor or insurance provider to see if there are any delivery options available to you. 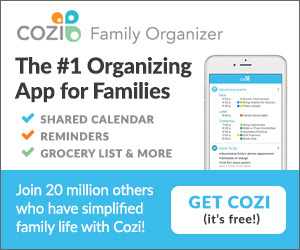 Coordinating schedules – Use a free app like Cozi to sync schedules with your whole family. This is a HUGE timesaver, and it’s nice to be able to see what’s going on with your entire family’s schedules at a glance. Organizing financial information – Using a free service like Personal Capital can help you organize all of your accounts, investments, and financial information in one place. Use this referral link and get a $20 bonus when you sign up. Sometimes people feel ashamed about hiring help. Please don’t! If you can make room in your budget to have someone help you out with things at home, go for it! Once you see what a difference it makes to have someone help you out, you’ll be glad you hired someone.